She was one of the first journalists to cover the devastating aftermath of supertyphoon Yolanda (Haiyan) in November of 2013. Now, in a piece for CNN Philippines Life and Media Newser Philippines, Nine Media Corporation President Armie Jarin-Bennett, who was Anderson Cooper's producer for his coverage on AC360, details her experience covering one of the most powerful typhoons ever to make landfall in recorded history. My cellphone rang in the middle of the night. For a few seconds I couldn't remember where I was. But I knew something was wrong. It was Atlanta calling about the super typhoon that was about to hit the Philippines. We had been talking about this storm for a few days. 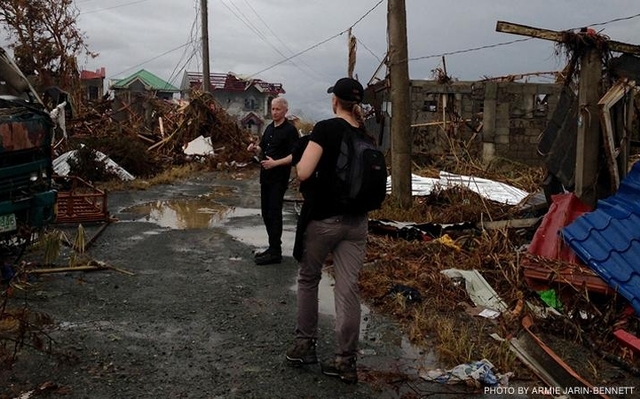 Three CNN journalists led by correspondent Andrew Stevens were already in Tacloban. They flew in a day earlier. I was in Bangkok on business. It had been almost a year since I left my newsroom job in Atlanta. I was now based in Hong Kong, fully entrenched in the commercial side of CNN's operations. But because of my Filipino background, I was the obvious go-to person for the coverage in the Philippines. And I was, of course, eager to help. That Atlanta call was about having me help book guests, including then President Benigno Aquino III. I was on it, aggressively reaching out to my Manila contacts as I prepared to pack my bags to head back home to Hong Kong. The storm hit land that Friday. The calls from my colleagues became more frequent — from Hong Kong, Atlanta, and New York. The requests shifted from helping find guests to helping produce on the ground. Anderson Cooper going around Tacloban, gathering stories of survivors. I remember one call in particular as I was going through airport security. A good friend and colleague at the international desk said, "Listen Armie, we haven't heard from Andrew in a while — we need your help. Who can we call to help?" I received another call. And another with the same message. I called every possible person I knew who could help — friends, family, local journalists, and my contacts in government. Three, four hours had passed and still no sign of Andrew or his crew. By the time I landed in Hong Kong, all I could do was to quickly get home, unpack and repack my bags to catch the next flight to Manila. That night, my husband John helped me organize my things — and my thoughts. John had spent many years in the field with CNN. Not only did he know what to expect and what to bring on a story like this — he also knew this assignment wasn't my cup of tea. I could do long hours of breaking news and for many days on end but usually in the confines of a newsroom, not out in the field. To add to the pressure, I was also told I would be assigned to work with Anderson Cooper’s team, whom I had never worked with. John's parting words to me — "You'll know what to do, don't worry!" By the following morning, they finally heard from Andrew. He was in a park in Tacloban, along with the rest of his crew. 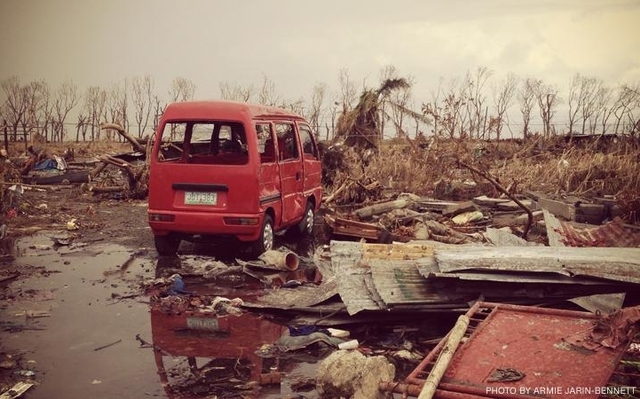 Authorities had also declared Yolanda as the strongest typhoon ever recorded in history. 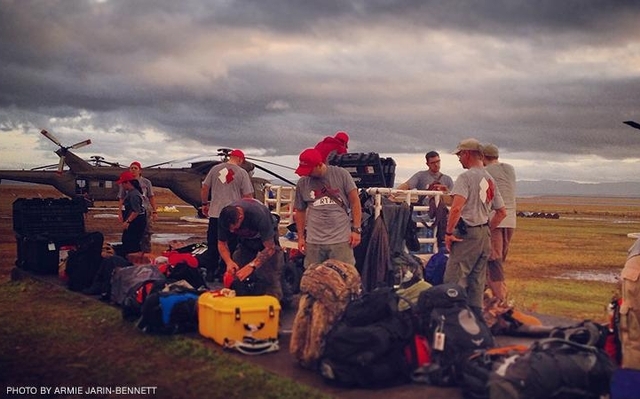 Getting to Tacloban was now everyone’s next big mission. But there were no commercial flights, no places to stay, no power, no internet, no phone signal — nothing that would make it easy to do our work. More CNN journalists arrived as the extent of the damage and destruction was revealed. There were about 50 CNN journalists in total coming from different parts of the world — Hong Kong, Jakarta, Seoul, New York, DC, Bogota, and London. Part of the wreckage in Tacloban airport. Within hours after my team’s arrival from New York, we were off to Tacloban, aiming to do a show live at 8 that morning. But weather problems forced the pilot to turn around and go back to Manila. The pilot told us, our estimated time of landing was just a little after 8 a.m. We were still going to do a show live, regardless. As soon as the plane landed, our cameraman grabbed his gear and quickly got out of the plane. A couple of other colleagues were already standing by on the side of the runway ready to help. By 10-after, we were up live. By early afternoon, the weather had cleared and we were off to Tacloban. As the plane descended, I had to stop and think for a moment about what I was seeing — trees that were either broken, splintered or completely knocked down and scattered like toothpicks. The closer we got to the ground, the clearer the scope of destruction. My team and I spent four days on the ground in Tacloban with heartbreak and desperation staring us in the face. It was the hardest thing I had ever done in my life. This assignment was emotionally, physically, and mentally exhausting, but nothing compared to what the people there had to live through. Day after day, we walked through communities near the airport, to talk to survivors. One of them, Juvelyn Taniega, lost all her six children and husband in the storm. In a daze, she told us about how she and her family tried to escape the storm’s wrath by hiding inside a jeepney. She remained in my heart and mind long after we left Tacloban. She was only one of many with the same story of loss and survival. A group of aid workers in Tacloban, a few days after Haiyan struck. That Thursday morning, as I was waiting to get on a plane back to Manila, I started to gather what was left of the snacks that I had stuffed in my backpack. I wanted to give them away to the people at the terminal. There were a few familiar faces I had been seeing for days. After all, we had all camped out at the airport. I quietly approached a few people, and offered them the little that I had. They thanked me sincerely, hopeful that they too would make it out of Tacloban soon enough. Upon my return to Hong Kong from this assignment, I sat down to write about the extraordinary courage of my fellow Filipinos. I witnessed their determination first hand in the face of hopelessness and desperation. Many of my CNN colleagues noticed that too, so distinctly. I have been back home for just a little over a year after almost two decades, inspired by the unbreakable Filipino courage that I now see everyday.